This is our exclusive Kratom Powdered Resin Extract "Silver". This is our mid-level Kratom Powdered Extract, and an equally as strong seller as our "Bronze" and "Gold" products. Buy Kratom carefully chose its Kratom suppliers, and this is another product we're proud to offer. Forget all the varying names used by vendors to entice you into buying their product such as "super" or "indo" or "green malay" and countless others; we simply offer you the same carefully-crafted extract that we work with ourselves in simple to understand strengths. All three of our main powdered extracts are from smaller suppliers who have fine-tuned their extraction process over the past few years out of the same passion for Kratom that we have. 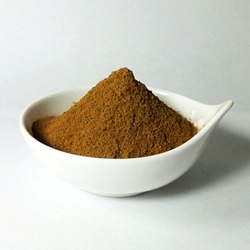 Our Powdered Kratom Extract "Silver" is our Top Selling powdered extract at our shop, offering a consistent Mitragynine content. We stand behind all the products we offer here at the shop, but this one, in particular, has caught the attention of everyone here, and literally hundreds of thousands of customers worldwide. We don't think that's an accident. Using an exclusive extraction process, this product is not only a full-spectrum herbal product, it's also rich in Mitragynine but without the sticky resinous material that the Kratom resin is made from. This product has a "silky" feel to it, and has a purity to it that you can actually see. Also, when choosing which vendor to buy your Kratom from, remember that the saying that "you get what you pay for." Well, this is rarely truer than with Kratom. We keep the decision process simple by offering a "Bronze", a "Silver" and a "Gold" version of our extracts, with the addition of the ever-popular Maeng da variety that has become a #1 Seller at Buy Kratom days after we added it to our very concise catalog of Kratom products.